Magnetic tape with solid adhesive on one side and magnetism on the other. The range of Larko Flex magnetic tapes are flexible quality products which can be shortened as desired. 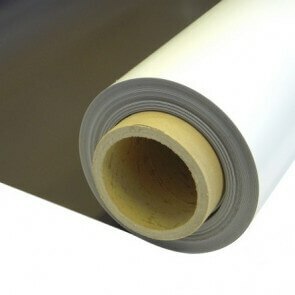 With its high flexibility and strong adhesive a versatile product is created with multiple application possibilities. 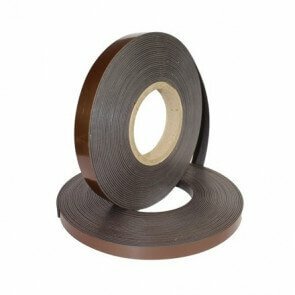 The adhesive effect of the magnetic tape is able to make non-metalic surfaces magnetic. The magnetic tapes are especially used within the building, transportation and advertising industry. The product is used for showrooms, displays, signs, labelling on storage racks and containers as well as for general holding applications. 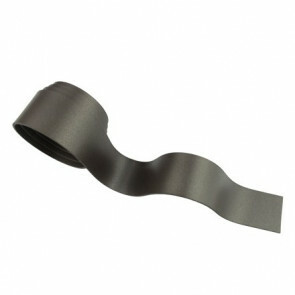 Magnetic tape is easily shortened with a utility knife or scissor to achieve the desired length. For fastening heavy signs, banners, light, equipment etc.